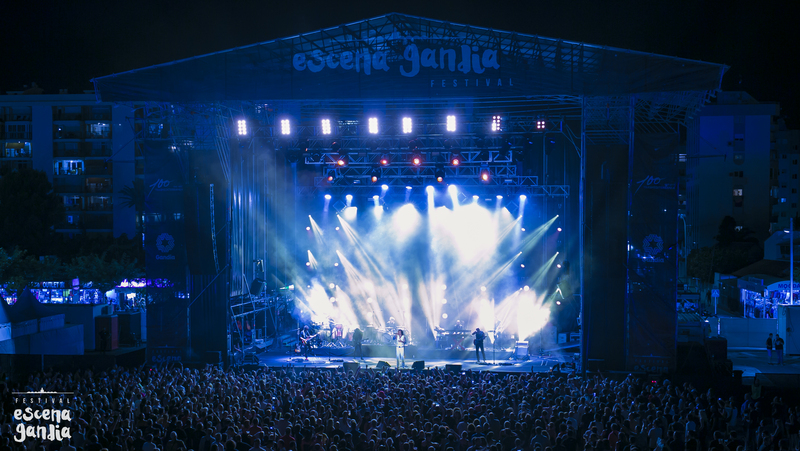 Past Sunday, August 5th, the 2018 Escena Gandia edition closed its doors in a year in which the cultural offer has been multiplied compared to the previous year, filling up the city of Gandia with the best music during three consecutive weekends, in which more than 22.000 spectators have visited the festival. It was clear from the start that the line-up for this edition needed to be varied and suitable for all audiences, opening on July, 21st. with Pablo López’s concert on his Santa Libertad Tour, in a very emotional concert. 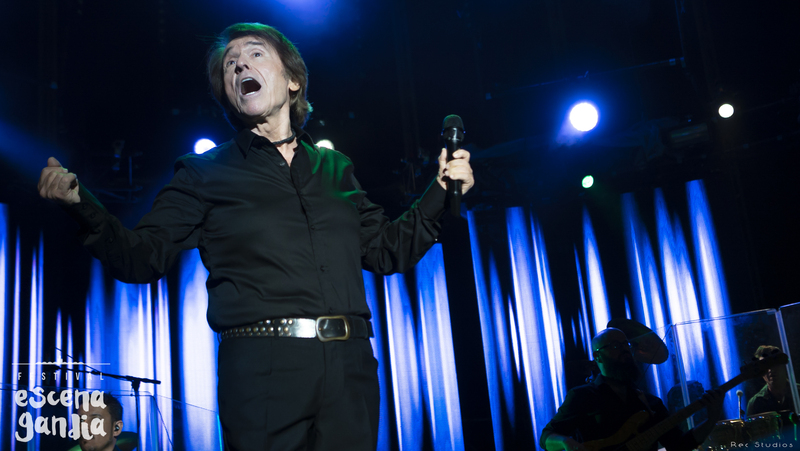 On July, 22nd., a plethoric Raphael presented his new tour, Loco Por Cantar, to the big audience in a unique concert. 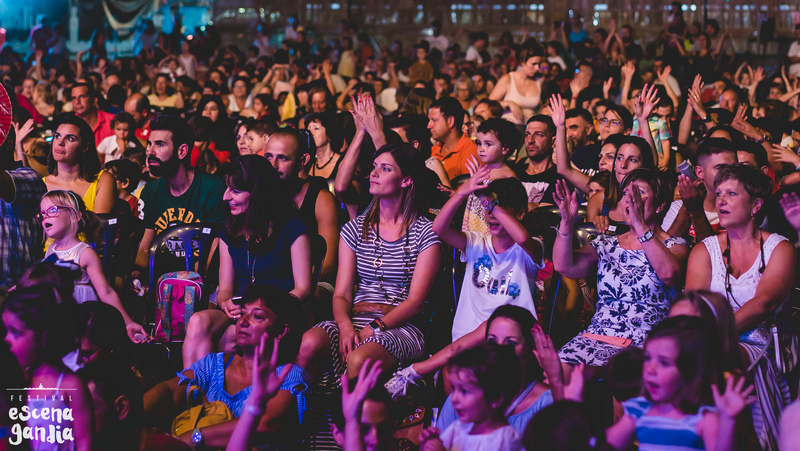 The day dedicated to the little ones on the Festival was on July, 27th, a total success that got all the families having fun all over the venue, in which little ones and big ones got to enjoy CantaJuego‘s Todos Tenemos Derecho a Jugar Tour. 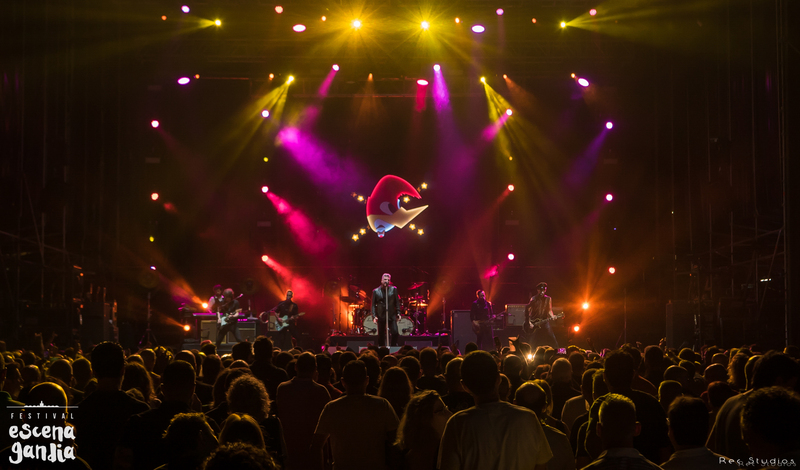 With this show, the second weekend was ready to receive the rock’n’roll star, Loquillo on Saturday, July 28th., presenting his celebration show for 40 years on the stages, with Nat Simons, one of the most interesting voices of the music panorama, invited to open up the night. 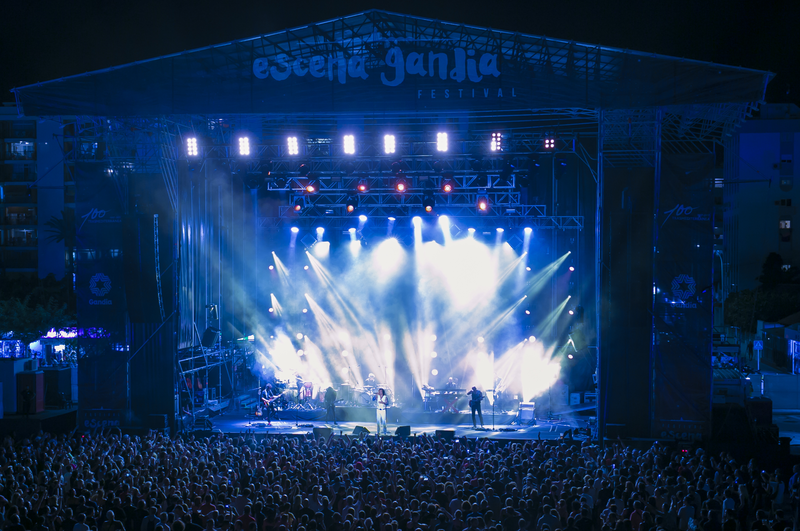 On Sunday, July, 29th, Escena Gandia Pop brought all the memories of the 90’s to the attendees with artists like OBK, Viceversa, Ku Minerva and New Limit. 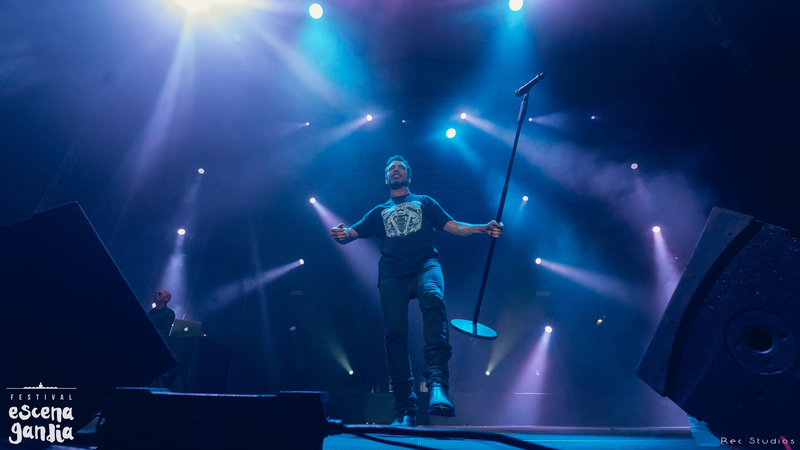 Juanes opened up the third and last weekend of concerts on Thursday, August 2nd., with his Amarte Tour, in which the artist presented the public his latest studio album, performing aswell his greatest hits. 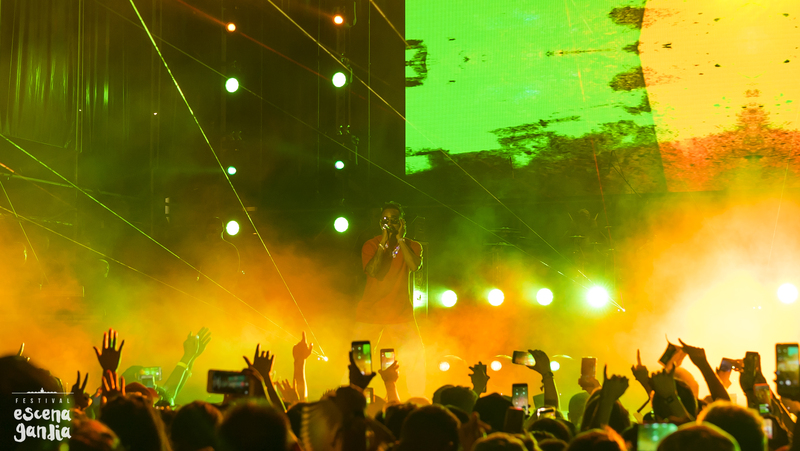 The night was filled of those characteristic rock Colombian rythms that have sharpen his career. 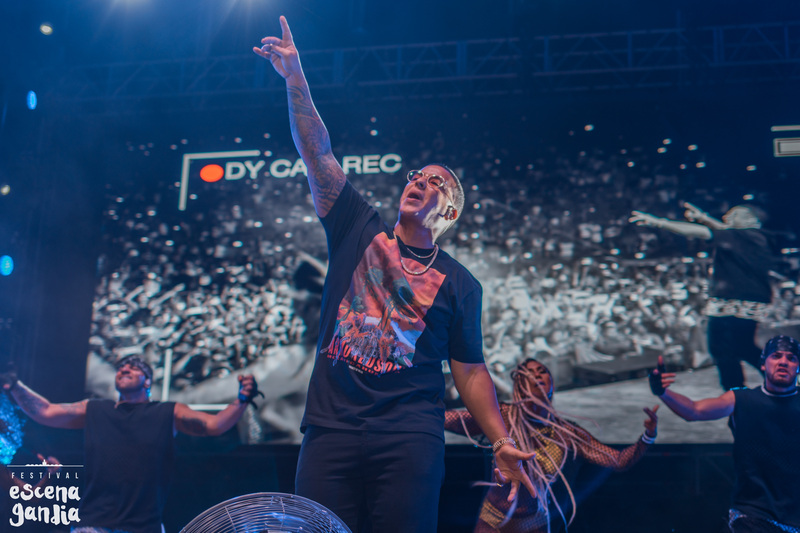 The first day for the Latin Fest -this year on our venue- was celebrated on Friday, August 3rd, all the youngters delighted by the presence of Ozuna, Natti Natasha and invited artists that got the public dancing with the reggeaton and trap tunes. 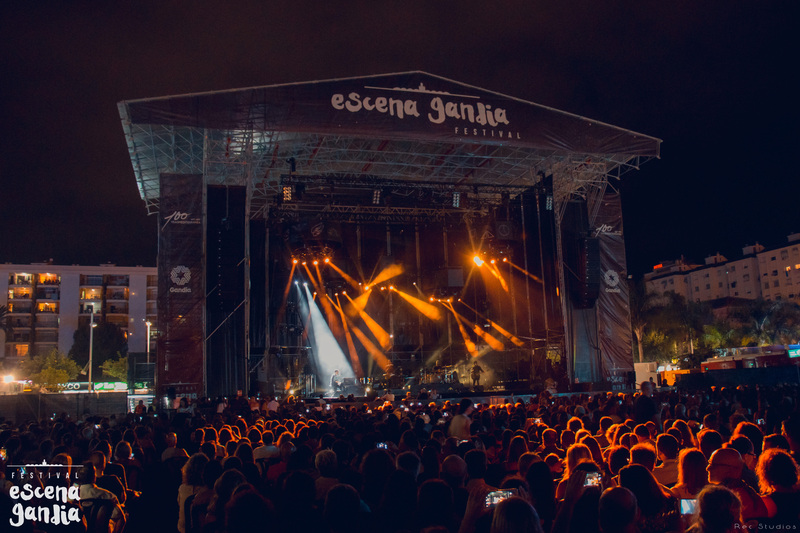 On Saturday, August 4th., arrived to Gandia one of the main dishes of the Festival: Enrique Bunbury, who was received by an enthusiamed public, performing his greatest hits and presenting his tour and album, Expectativas. 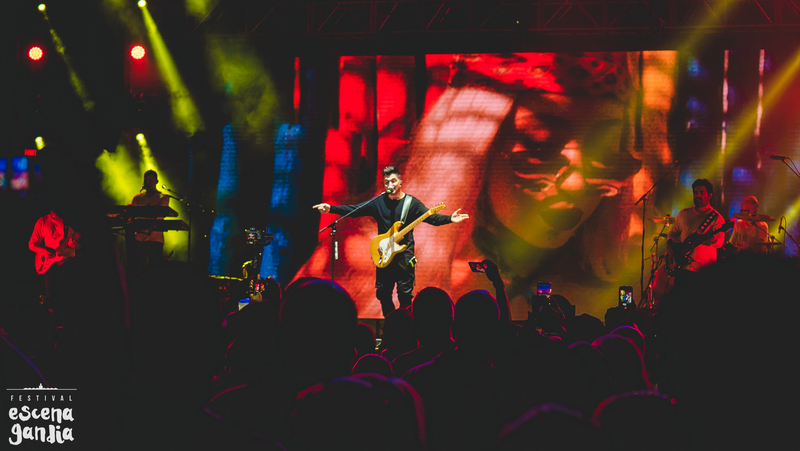 Back to the urban sounds, on Sunday, August 5th, Latin Fest brought international artists Daddy Yankee and Sebastián Yatra, who reunited all the youngters again who danced along the hits of the artists. 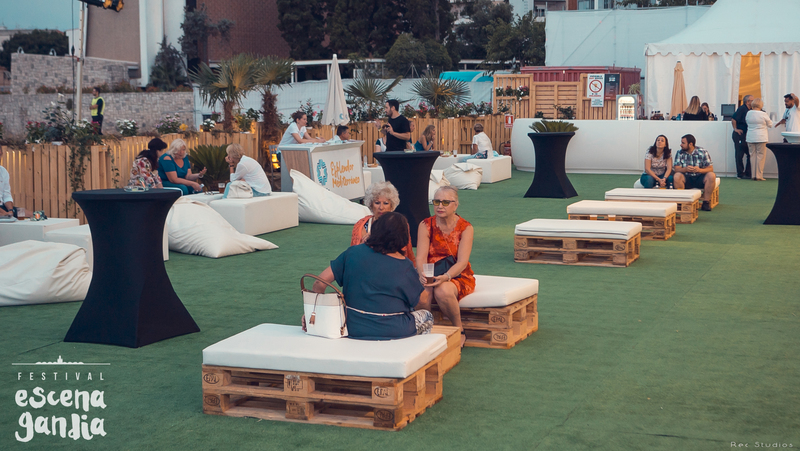 Destacar una de las novedades de esta edición: la zona village, un espacio lounge ubicado dentro del recinto, al lado del mar, y destinado a ofrecer una alternativa de ocio tanto a los asistentes a los conciertos como al público general que esperamos consolidar en próximas ediciones. Agradecer por último su colaboración al Ayuntamiento de Gandia, Destisafor, Trasmediterránea, Radio Gandia, el público que nos ha respondido comprando sus entradas para el Festival, y a todos aquellos que ayudan a que Escena Gandia siga creciendo año tras año.